Still looking for a perfect Christmas gift for that someone special??? 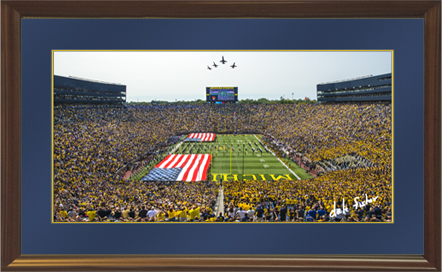 We have a large variety of Michigan Stadium Photographs, as well as Ann Arbor, University of Michigan, Medical Center and Fine Art Photographs in stock. Call to schedule a tour of our galleries. 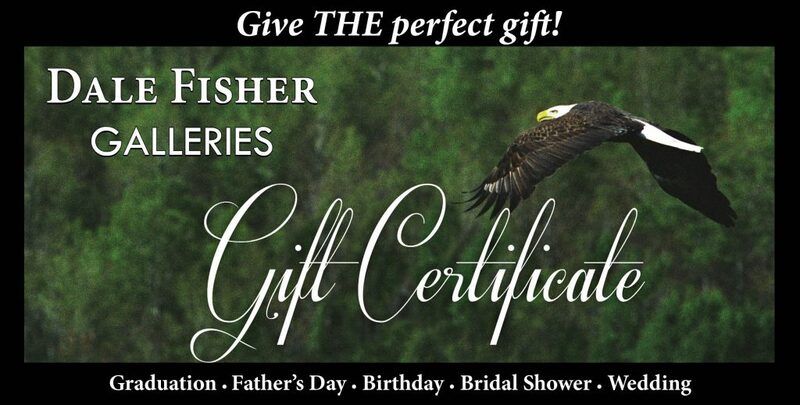 OR… purchase a gift certificate so that special someone can choose. 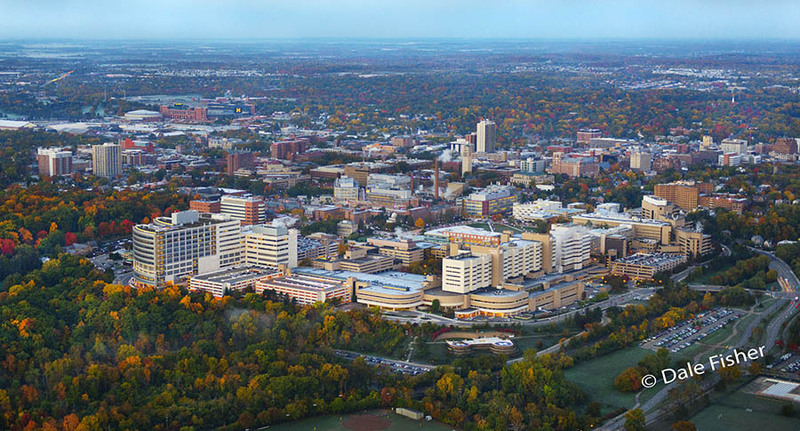 Fall colors begin to show around the University of Michigan Hospital as the sun rises. University of Michigan stadium is also visible in the horizon.